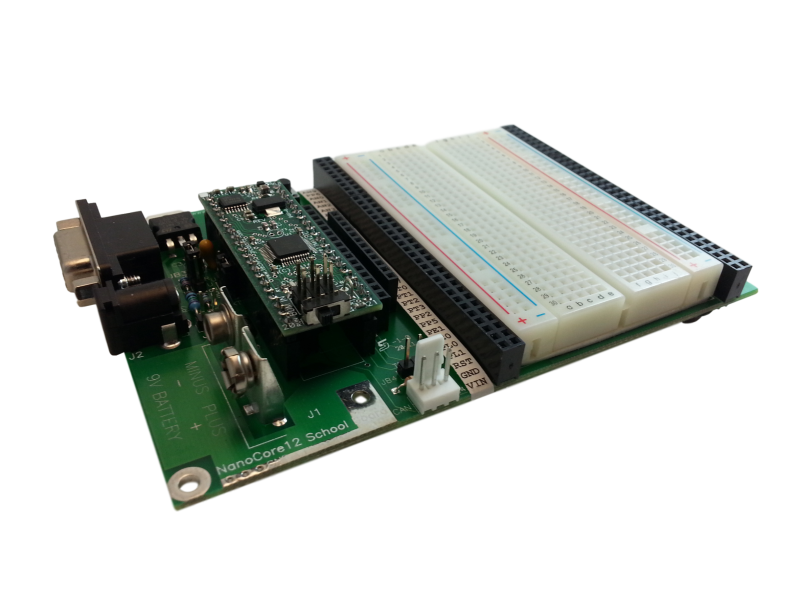 This School Board is a convenient platform for constructing application circuits and developing firmware for the S12ZVCA192 microcontroller using NanoCore12MAXZVCR modules (available separately). On-board 5V regulator provides plenty of current to power the everything from your 12V DC power supply. A standard 9-pin D-sub connector ("DB9") is included. Requires 9-pin serial cable. 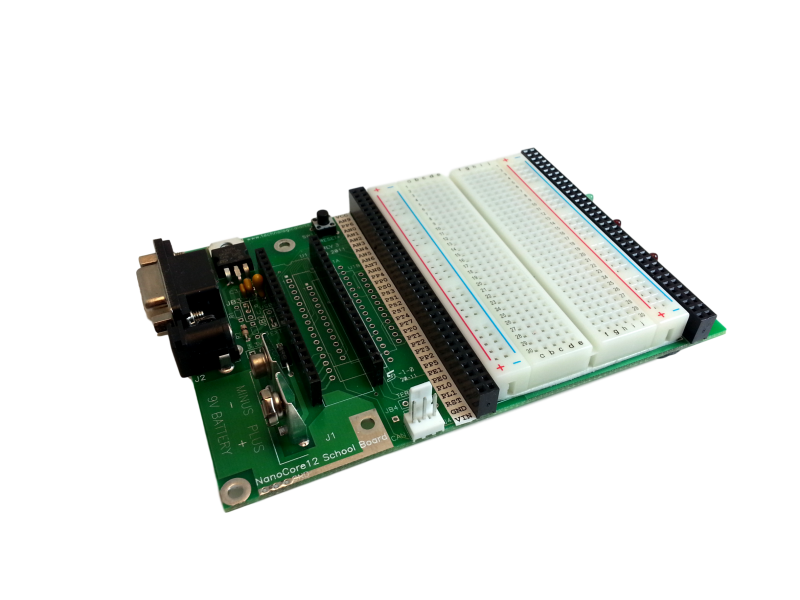 Note that this product is compatible only with the RS232 version of the modules (i.e. NanoCore12MAXZVCR).